In preparation for walking groceries home from the shop in the big city, today we printed three of ivanseidel's Bag Holder model on Thingiverse (one for each of us in the family). 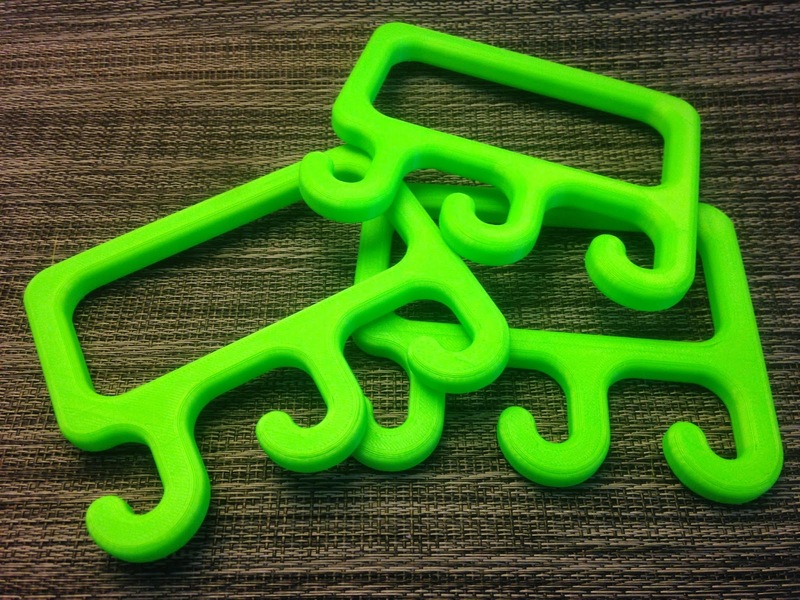 There are a number of bag holders on Thingiverse but the design of this one is particularly sturdy and elegant, with large comfortable handles. I think they look like elephants somehow. Try making one and having people guess what it is. So far none of the people I have asked have been able to figure it out on their own, although they come up with a lot of strange and interesting guesses! Settings: MakerWare .3mm/low with no raft and no supports. The print is quick and light despite looking rather large.